This versatile quilt will allow your imagination to soar...and for everyone on your list! 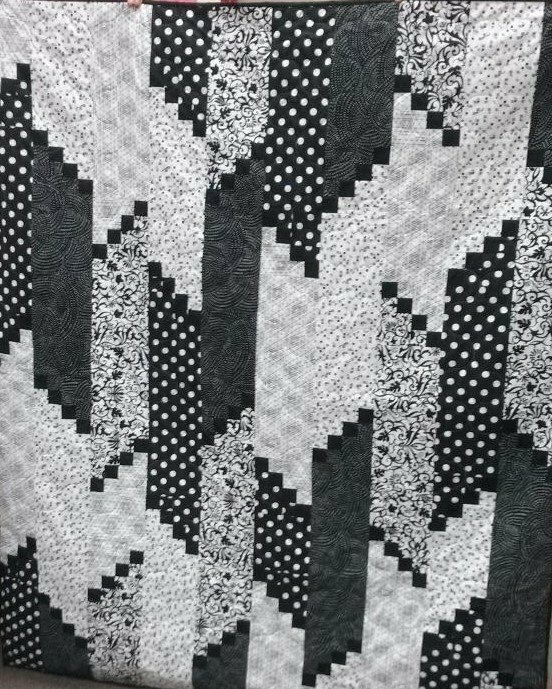 The black and white sample quilt is perfect for everyone and comes in three sizes. I have seen this in many color ways, but we all love our black and whites. Get your supply list and join Gail for a fun day and a productive session. Contact store for supply list. 48 hr cancellation notice required.